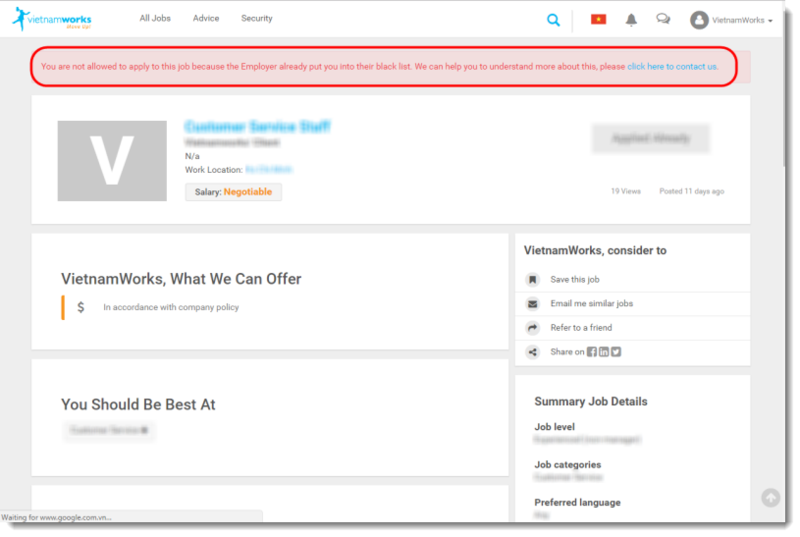 When opening a job on VietnamWorks, if you see a notification: “You are not allowed to apply to this job because the Employer already put you into their black list. We can help you to understand more about this, please click here to contact us”, it means that you have been added to black list by this employer. You cannot apply any job from this employer. Adding a candidate into black list is a function for the employer to stop receiving the application from an undesired candidate. Therefore, the decision to add any candidate into black list totally depends on the employer.